Oncology Day Services provides outpatient care to non-hospitalized cancer patients requiring on-going support. 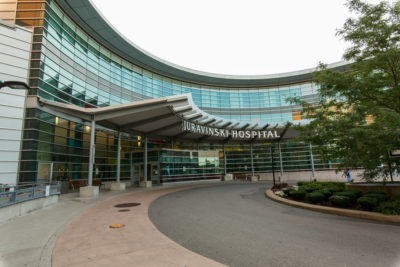 The 10,000 square foot unit provides a range of consultations, treatments and procedures such as chemotherapy, blood transfusions, IV therapies, blood work, education and supportive care. Our treatment spaces feature large windows with views overlooking the escarpment and include a mix of lounge chairs and beds with curtains to optimize your privacy. Oncology Day Services and the adjoining Hematology inpatient unit are outfitted with a specialized HEPA filtered air supply to help promote infection control and protect our patients against the transmission of airborne illnesses.